Out of the Blue Quilts by Sondra Davison - Sondra Davison is a designer, blogger, and late night quilter, obsessed with cotton, cats, coffee, and crafts - a blog for quilters. I don’t think I’ve ever mentioned this here on the blog, but I’m an avid cross stitcher. A friend taught me in college, and I’ve been counting those little crosses ever since. The problem is, like so many other interests I engage in, I have a lot more starts than I do finishes. So, when I heard about Stitch Maynia through the Fat Quarter Shop, it really caught my attention. They TRY to start a new project every day – say whaaaaat?! 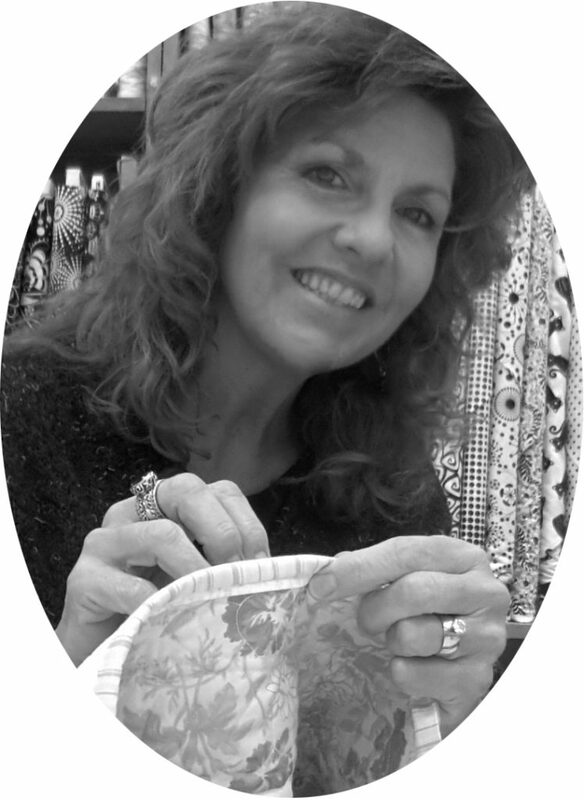 Started in 2015, Stitch Maynia is when cross stitchers start a new project every day in May. At the Fat Quarter Shop, owner Kimberly Jolly plans to start 31 different cross stitch projects, for a total of 31 cross stitch projects! This would NOT be a problem for me to accomplish. I can start something new every day (which IS a problem). I practically do that now without a designated month to celebrate it. For Stitch Maynia I will work on cross stitch every day in May, whether it’s stitching something new, finishing a UFO, or putting a completed cross stitch design into a finished project (i.e. pin cushion, frame, etc). I will do my best to share my progress on Instagram or Facebook, but I’m not making any promises that it will be a daily share on social media or here. I’m the world’s worst at remembering to photograph and share my progress with my quilting or anything, but I’ll do my best. Pumpkin Spice Farm is going to be my first project. I have followed Cathy at Hands On Design for a long time and LOVE her work and her YouTube channel. I ordered the pattern today from the Fat Quarter Shop (along with a pile of other stuff), so I have plenty of time to have all the other necessary supplies on hand before May 1. I can’t wait! If you want to learn more about Stitch Maynia, visit the Fat Quarter Shop blog, Jolly Jabber, to get all the details, then be sure to drop by the store and click on the cross stitch section (left column) – so many lovely items, there! Fat Quarter Shop also has some new social media accounts focused on cross stitch including @fqsxstitch on Instagram and FQS Cross Stitch on Facebook. Hope to see you in May, stitching away!! and I ♥ to quilt! Per FTC Regulations I would like to let you know that I do have affiliate links throughout this blog. The links provide me with a small percentage of commission but do not cost you anything extra. All photos and content are my own unless clearly noted. Feel free to link to or pin from my site, but please cite the original post. Please do not reproduce or publish copies of my patterns and tutorials, but feel free to share the link to them. Thank you! © 2003-2019 Out of the Blue Quilts. All Rights Reserved.